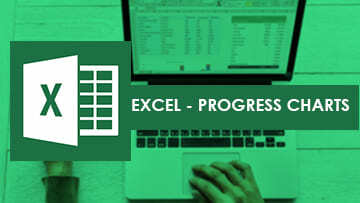 This a short course , it is only 30 minutes in length , this course is an Intermediate course , If you are an advanced Excel and PowerPoint user "Power User" , this course will not be appropriate for you , please before you decide preview the course and you are more than welcome to enroll . You will learn how to create progress charts , those progress chart are circular in nature looking like doughnut charts but they represent progress ,may be progress in sales or progress or percentage in work done , as seen in the promo and introduction videos . Then we will paste the Progress Charts into PowerPoint to create some nice Animation to capture the attention of you audience , in meetings or when presenting progress reports or results of any project .